Marketers typically include hashtags in Twitter and Instagram. But what about Facebook? Marketers remain divided over including hashtags on Facebook. Some don’t bother, even though they like them on other networks. A Buzzsumo analysis of a billion Facebook posts in 2016 revealed that posts without hashtags received more engagement than those with hashtags. More recent research finds that one hashtag is more effective than multiple ones. 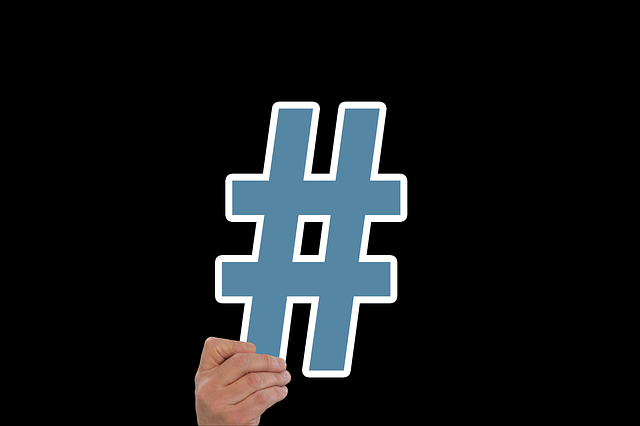 Perhaps hashtags, first introduced on the network in 2015, have been slow to catch on. Others add them liberally – perhaps too much. Many Facebook marking experts recommend adding hashtags to Facebook posts – to a point. Adding hashtags to Facebook content does bring some advantages. Improved knowledge. Tracking relevant hashtags with a social media monitoring tool enables brands to learn what topics most interest their followers. Marketers can return to topics when associated hashtags perform well. “Although tracking hashtags may seem more straightforward on Twitter or Instagram, keeping an eye on trends on Facebook is also a smart move for brands, social media expert Brent Barnhart. Improved search. Hashtags make posts searchable. They help highlight specific campaigns or posts that may interest followers. Facebook issued its own guidelines for brands, but that was back in 2016. Since then, marketers have been seeking updated best practices. Don’t overdo it. The top recommendation for hashtags on Facebook: constraint. Experts recommend one, or perhaps two. Add them judiciously and with careful consideration. “It’s completely pointless adding loads of hashtags for the sake of it or adding hashtags that no one is going to monitor or care about,” says Ian Cleary of Razor Social in a Post Planner expert round-up. Branded hashtags. Some marketers create their own branded hashtags that their audience will associate with the brand and its content. If you undertake that strategy, create one that’s simple and easy to remember. Use it consistently. Trend jacking. Feel free to include popular hashtags, such as those from sports or popular culture, as long as posts are relevant to the hashtag and tasteful. Cross-platform marketing and measurement. Include hashtags you already use on Twitter or Instagram on Facebook. That cross-platform integration will improve overall social media measurement on each word or phrase you use. Join the crowd. Sometimes, the most popular hashtag offers the best option, according to Facebook’s guidelines. You may feel tempted to differentiate a topic or promote the topic like: #NBAFinalsOnABC but fans may be using the simpler version of the hashtag, #NBAFinals. Bottom Line: Hashtags on Facebook may not be as important as those on Instagram and Twitter, but they do offer benefits if used with constraint and other best practices.